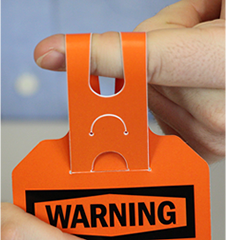 Strong, durable, and pliable self-locking safety tags allow you to mark any equipment swiftly. • Made of 15 mil thick vinyl, tags are tearproof and resistant to water, grease, oil. Ideal for messy jobs- mark valves, pipes and more. 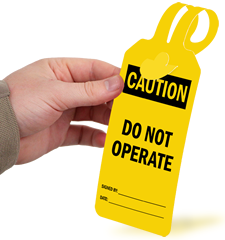 • Write on these single-use self-locking safety tags with a marker or pen. • Unfasten and refasten loop to adjust the length of the tag. • Get blank tags to customize your safety message or choose from the many stock tags we offer. Create your own legend using one of our easy templates.